Seizures may be classified as either partial if they involve only a small portion of the brain or generalized if they involve more of the brain. Topamax is used in combination with other anti-seizure drugs among adults and children aged 2-16 years with partial seizures or generalized tonic-clonic seizures (in which there is prolonged contraction of the muscles of the body that causes rigidity as well as jerking motions). Topamax sprinkle capsules are approved for treatment without other drugs in patients 10 years of age and older. Topamax also is used in patients two years of age and older with seizures associated with the Lennox-Gastaut Syndrome, a severe form of epilepsy which accounts for up to 10 percent of all cases of childhood epilepsy. Children with Lennox-Gastaut Syndrome experience delays in their development and up to dozens of different, mixed types of seizures a day. The most common types of seizures in this syndrome are tonic (stiffening of the body, with the eyes rolling upwards, dilation of the pupils and shallow, irregular breathing), atonic (brief loss of muscle tone and consciousness, causing abrupt falls), myoclonic (sudden muscle jerks), and absence (staring spells). Most commonly, topamax is started in low doses, 25 or 50 mg per day, and then increased slowly, under a doctor's orders, by 25 to 50 mg per week until an effective daily dose is reached. This slow approach to treatment reduces side effects. In children, the starting dose is up to 25 mg (1 to 3 mg/kg/day), taken nightly for the first week. The dose is then increased at 1 or 2 week intervals by 1 to 3 mg/kg/day. Although the usual adult dose is 200 mg twice daily, some adult patients may begin to see a clinical response at 200 mg per day. Some patients need doses higher than 200 mg daily. In children, the usual dose is 2.5 to 4.5 mg/kg twice daily. Patients should maintain an adequate fluid intake in order to minimize the risk of kidney stones. 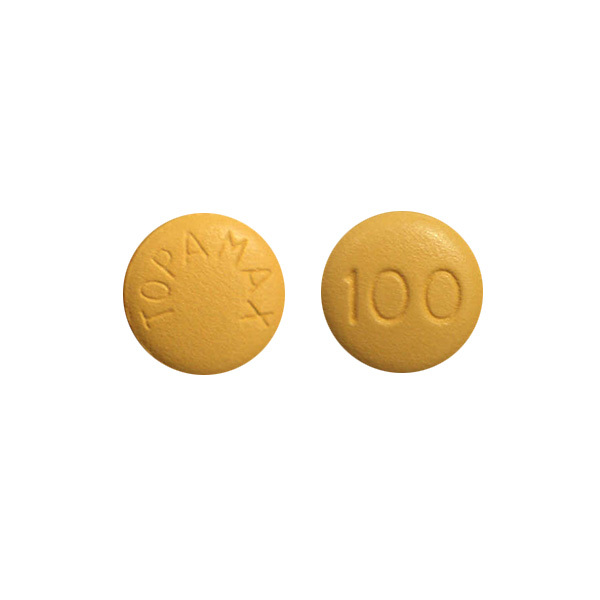 Topamax is an oral drug that is used to prevent the seizures of epilepsy. (It is an anti-epileptic or anti-seizure drug). It is used primarily among patients who are not controlled by other anti-epileptic drugs. About 1 in 4 Americans diagnosed with epilepsy has seizures that resist treatment with other anti-epileptic drugs. Topamax also prevents migraine headaches. Seizures are due to the abnormal activity ("firing") of nerves in the brain, and the abnormal activity spreads to smaller or larger portions of the brain. Although topamax's exact mechanism of action is unknown, scientific studies suggest that it may alter neurotransmitters within the brain. Neurotransmitters are chemicals that nerves manufacture and use to communicate with other nearby nerves. By altering the production or action of the neurotransmitters, topamax may suppress the abnormal activity of the nerves in the brain that cause the seizures or may prevent the abnormal activity from spreading to other nerves. Other studies suggest that topamax may suppress the nerves directly (i.e., not by altering neurotransmitters) and make them less likely to fire. If you miss a dose of this medicine, take it as soon as possible. If it is almost time for your next dose, skip the missed dose and go back to your regular dosing schedule. Topamax tablets should be stored at room temperature, 59-86 degrees F (15-30 degrees C). Sprinkle capsules should be stored at or below 77 degrees F (25 degrees C). The following medications, when taken with topamax, increase the risk of kidney stones: acetazolamide (Diamox), dorzolamide (Trusopt), methazolamide (Neptazane), dichlorphenamide (Daranide). Carbamazepine (Tegretol) and phenytoin (Dilantin) markedly decrease the amount of topamax in the body by increasing its elimination from the body. As a result, topamax may lose effectiveness unless doses are increased. Topamax may decrease the amount of estrogen in the body in women taking oral contraceptives, possibly increasing the chances of unwanted pregnancy. Patients with seizure disorders taking anticonvulsant medications, including topamax, may develop nerve toxicity from a chemical, 4'-O-methylpyridoxine, found as a contaminant in some ginkgo preparations. Do not take this medicine if you have had an allergic reaction to it or are allergic to any ingredient in this product. Do not stop using this medicine without first checking with your doctor. Some conditions may become worse when the medicine is suddenly stopped. Keep all doctor and laboratory appointments while you are using this medicine. Laboratory and/or medical tests may be done, such as measuring bicarbonate levels in your blood, before you start taking this medicine and during therapy to monitor for side effects. Before you have any medical or dental treatments, emergency care, or surgery, tell the doctor or dentist that you are taking this medicine. This medicine will add to the effects of alcohol and other depressants. Ask your doctor or pharmacist if you have questions. Do not drive, operate machinery, or do anything else that could be dangerous until you know how you react to this medicine. Using this medicine alone, with other medicines, or with alcohol may lessen your ability to drive or to perform other potentially dangerous tasks. This medicine may reduce sweating which could raise your body temperature, especially in children. The risk of this serious side effect is greater in hot weather and/or during vigorous exercise. Drink plenty of fluids and dress lightly while in hot climates, or when exercising. Check carefully for signs of decreased sweating. If this occurs, promptly seek cooler or air-conditioned shelter and/or stop exercising. Seek immediate medical attention if your body temperature is above normal, or if you have mental or mood changes, headache, or dizziness. Contact your doctor for more details. Before you begin taking any new medicine, either prescription or over-the-counter, check with your doctor or pharmacist. For women, taking this medicine while you are using birth control pills may decrease the effectiveness of your birth control pills. To prevent pregnancy, use an additional form of birth control while you are taking this medicine. Ask your doctor or pharmacist if you need more information. If you plan on becoming pregnant, discuss with your doctor the benefits and risks of using this medicine during pregnancy. It is unknown if this medicine is excreted in breast milk. If you are or will be breast-feeding while you are using this medicine, check with your doctor or pharmacist to discuss the risks to your baby. In adults, the most common side effects of topamax are tiredness, dizziness, coordination problems, speech problems, changes in vision or double vision, difficulty with memory, and sensory distortion. In children, the most common side effects are drowsiness, tiredness, loss of appetite, nervousness, difficulty with concentration/attention, weight decrease, aggressive reaction and difficulty with memory. Since topamax was approved, there have been 23 cases reported (as of 8-17-01) of a sudden onset of vision and eye problems. Symptoms have typically occurred within the first month of therapy, with patients reporting an acute onset of decreased vision and/or eye pain. Eye examination revealed myopia (nearsightedness), redness, decreased depth of the anterior chamber of the eye and elevated ocular pressure, with or without dilation of the pupils. Fluid accumulation within the eye may displace the lens and iris anteriorly causing secondary angle closure glaucoma. If patients develop this syndrome, the treatment is to discontinue topamax as rapidly as possible, according to the judgment of the treating physician. Laboratory and or medical tests (e.g., eye exams) may be performed to monitor your progress. Dc with others for whom it was not prescribed. Do not use this medicine for other health conditions. Keep this medicine out of the reach of children. If using this medicine for an extended period of time, obtain refills before your supply runs out.